Mark your calendars, today Toyota has birthed its first supercar, the specs and complete images of the production Lexus LFA have been released and by all measure it's going to make the Italians and Germans break into a cold sweat. 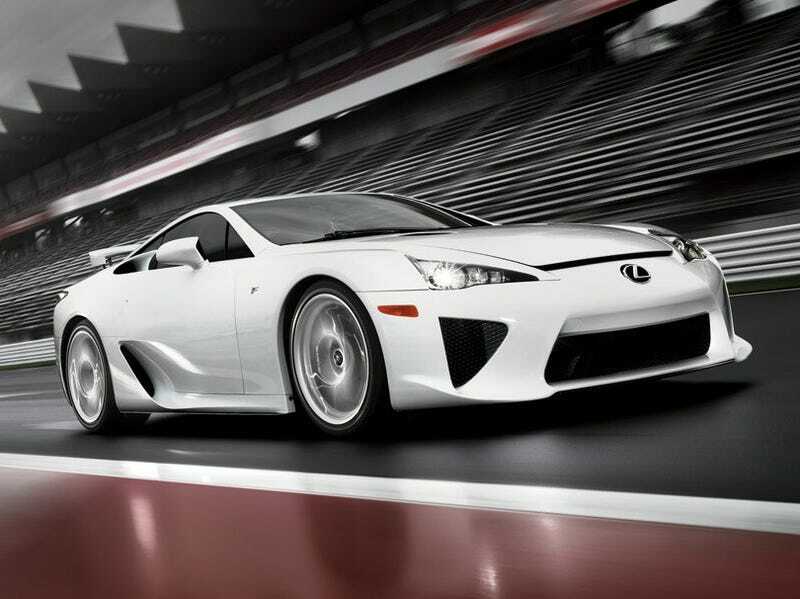 At 3,263 lbs, the LFA is smack dab in the middle of what's considered respectable heft in today's mainstream supercars. Mated to a V10 with a 9000 RPM redline and 560 HP, 354 lb-ft of torque and an already demonstrated F1-like engine note, it'll no-doubt be an absolute riot to drive, assuming you're one of the 500 lucky few to snap one up. At 3.7 seconds 0-62 MPH, you might be able to outrun the car's gravitational pull of awesome.